What Schools Offer Accredited Software Engineering Programs in DC? Our Nation's capital has one university offering a baccalaureate level software engineering degree. 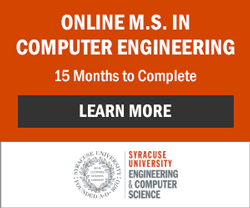 There are many options for computer science study and a few for studying computer engineering. All three of these degree programs are commonly held by people employed as software engineers in DC and around the country. Check the schools out below. To learn more about the differences between computer science and software engineering, read the article Computer Science Versus Software Engineering. You may also want to explore the article Computer Science Versus Computer Engineering.